Amphetamines are central nervous system stimulants which cause increased alertness, focus, and energy. There are legal, prescription amphetamines, such as Adderall and Dexedrine, which doctors prescribe to treat narcolepsy in adults and ADHD in children. Every year, more than 6 million amphetamine prescriptions are written in the U.S. Amphetamine withdrawal is a major undertaking that shouldn’t be performed at home or alone. While amphetamines can be legal and safe when used correctly, they are habit-forming and addictive. Non-medical use of prescription stimulants has increased exponentially in recent years, and emergency room visits for illegal amphetamine use has risen three-fold since 2005. While prescription amphetamines are incredibly helpful for adults suffering from narcolepsy and children with ADHD, they can be dangerous when taken off-label. The off-label use of prescription drugs is directly responsible for over 22,000 overdose deaths in the United States. Furthermore, there are illegal, street-drug amphetamines which wreak havoc on society as well – methamphetamine and ecstasy. Ecstasy can dangerously raise the user’s core temperature, leading to seizures, brain and organ damage, and death. 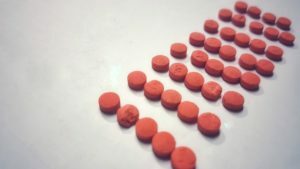 While not as physically addictive as other amphetamine drugs, ecstasy is psychologically addictive, and can cause the abuser financial, health, and legal problems. Methamphetamine is an incredibly dangerous street drug which causes long-term health effects. Methamphetamine is also highly addictive. It is cut or diluted with harsh, deadly chemicals. Meth users can severely damage their teeth, facial tissues, skin, and cardiovascular systems. Amphetamines can be ingested, snorted, or in the case of meth, smoked or injected. Stress hormones like adrenaline are released upon consumption. Heart rate and blood pressure increase, and blood is diverted away from the gut to the muscles. Amphetamines give the user a feeling of intense euphoria, increased energy, focus, and in some cases, aggression and paranoia. They also severely decrease a person’s appetite. Students, people with demanding jobs who work long hours, and those with comorbid mental health issues will abuse amphetamines for their effects. College and university students are particularly at risk for abusing legal, prescription amphetamines. Once a person comes down from an amphetamine high, he or she may experience a marked crash in energy levels. They can also have sensory issues, like a feeling of bugs crawling beneath the skin. This is especially true with meth users. They may feel irritated, nauseous, and depressed. To avoid these feelings, amphetamine abusers will take more of the drug, or take a different drug on the back-end of an amphetamine high to prevent the crash. In recovery, amphetamine users often present with a myriad of complicated issues, such as comorbid health conditions and the use of many drugs to feed and manage their habit. Amphetamine abusers also risk developing severe, long-term health consequences from abuse and addiction. Because amphetamines are highly addictive and cause severe stress on a person’s bodily systems, they need to undergo a medical detox before they can begin an inpatient rehabilitation. In medical detox, users are under the supervision of a qualified doctor. Here, they can safely come down from an amphetamine high. Sometimes, withdrawal symptoms can be dangerous, and require care from medical staff to lessen the harm from more severe withdrawal symptoms. What is the timeline for amphetamine withdrawal? Most surveyed recovering amphetamine addicts report withdrawal symptoms persisting anywhere from five days to three weeks. However, some people may experience lingering symptoms, such as depression and anxiety, for months after cessation. The timeline for withdrawal depends on several factors; weight, metabolic rate, how long the person’s abused drugs, and which particular drugs they’ve abused. The individual usually experiences the first signs of withdrawal within 36 hours. From days one to two after cessation, they will experience an amphetamine crash. This will include increased appetite and need for sleep, cravings for the drug, and dysphoria. The next phase in the withdrawal timeline can last anywhere from five days to several weeks. During this time, the person will experience mood swings, severe muscle aches and pains, depression, cravings, problems sleeping and nightmares. From several weeks after cessation to months and years later, a recovering amphetamine addict can experience prolonged cravings, issues regulating mood, social impairment, memory problems, and depression. Long-term abuse of amphetamines and combining drugs can increase the chances of experiencing long-term withdrawal symptoms. What are physical issues amphetamine withdrawal can cause? Cardiovascular problems, such as irregular heartbeat and chest pain. Other physical complications from withdrawals of other drugs. Can amphetamine withdrawals cause psychological issues? Yes. Amphetamine abuse severely alters a person’s brain chemistry and their perception of reality. Amphetamine withdrawals can cause a user to feel paranoid, anxious, aggressive, and depressed. People in recovery can also suffer from delusions, and experience problems with social functioning and their relationships. In a medical detox facility or rehab center, therapists and doctors are trained to help with the psychological issues which can arise during amphetamine withdrawals. At home, user’s and their families and friends are not equipped to handle these things. Injury can result. People in withdrawal can harm themselves or others if they’re suffering from delusions and paranoia that can make them aggressive and scared. What are the differences with a cold-turkey cessation versus a medically supervised detox from amphetamines? Side effects from withdrawal are much more severe when a person quits cold-turkey. Also, the risk of severe physical and psychological complications is higher when someone abruptly stops taking the drug. In a medical detox facility, patients are put on a weaning or tapering off schedule. Doctors can supervise the patients, and take the necessary precautions or actions to mitigate any harm to the person experiencing withdrawal symptoms. What are safe medications to use during detox from amphetamines? Sleep aids, medication to treat nausea, and SSRIs and SNRIs can be safely prescribed for people recovering from amphetamine addiction. Anti-anxiety medications and mood stabilizers can also help. Also, amphetamine withdrawals can cause psychosis, but people who are already suffering from psychosis can use amphetamines to self-medicate. In a medical detox facility, doctors can differentiate the cause of these symptoms. Doctors can adequately alleviate psychotic symptoms caused by withdrawal, or give patients who have psychotic, comorbid mental health conditions the right treatment for their disorders in a safe environment. What is not safe to do during amphetamine detox? It is not safe for people in recovery to have access to weapons, other drugs, or influence from social forces which have aided and abetted their drug addiction. This is why it’s crucial for people who want to quit drugs to do so in a professional, medical setting. In rehab and detox, patients are kept away from harmful outside influences. They are also given safe, legal medication to lessen the effects of withdrawal. Chances for relapse are higher when people can’t safely alleviate painful withdrawal symptoms. What happens throughout the amphetamine withdrawal process? At first, patients are thoroughly examined for any underlying physical health or mental health problems. They’re also monitored for signs and symptoms of other drugs they may be addicted to. Patients are kept in a safe, quiet, serene environment where therapists and doctors are available 24/7. Patients will first experience severe fatigue. In a medical detox facility, they can rest and recover. Also, patients are encouraged to eat nutritious food and are given supplements. Often, amphetamine addicts are severely undernourished, since the drug suppresses appetite. Doctors can also give patients short-term sleep aids to help them with insomnia or nightmares. Therapists are also on-call to assist with any feelings of anxiety or depression. Patients are encouraged to explore the reasons for their addiction, and any comorbid mental health conditions are addressed. Once the severity of withdrawal symptoms lessens, patients can begin inpatient rehabilitation, where they start working more in-depth with trained counselors. One-on-one therapy helps them plan for a drug-free life outside of rehab. Individuals are counseled on how to cope with stress and triggers to prevent a relapse. Also, counselors help patients learn how to engineer their life, so they aren’t at-risk of falling back into old habits or associating with people who do drugs. Family therapy helps patients get and maintain support outside the facility, and tailored plans are put in place to prevent a relapse or to deal with one swiftly should it occur. Amphetamine addiction is dangerous and severely impacts the quality of someone’s life. Untreated, it can even end it. Don’t hesitate to get help, and speak with a licensed rehabilitation counselor today.